June 20, 1907 - Last article - controversy closed. Mr. West's bitter words and coarse language have no effect upon me. He and his followers came to my parish last year and abused me to their heart's content. This abuse of others, together with praise of themselves seems to be their idea of "preaching the Gospel." But not one member of the church of Ireland, male or female, belonging to the parish of Kilakeery, followed them. They did get a few nondescripts at that time, and since I have taken no notice of them. It is not the first occasion, and I don't suppose it will be the last, when "certain lewd fellows of the baser sort" have attempted to create an uproar. The people of Kilakeery, however, know the truth and are not so easily led aside by false teaching. Nor is it necessary that I should stir up my Orange brethren; they also know the difference between truth and error much better than those who seek to belittle them. I need not say then that my last letter was not the result of any desire of mine to appear in print, it was called forth by the impertinence of some one styling himself "Cooneyite." I desired to show that the principles underlying the Anabaptist sect today are the same as they were in days gone by, for the Anabaptists can no more deny their connection with John of Layden than they can deny their own existence. That I have succeeded in doing what I desired is manifest from the gall and bitterness of poor Mr. West's letter. "When you have no case abuse the plaintiff's attorney. "You have only to stir deep enough--even in the Ballinamallard River--to bring up the mud. As to Mr. West himself, I am not aware that I have ever even seen him. 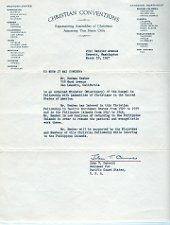 I have no controversy with him, nor do I intend anything of the kind for two reasons--First, because the man who some time since in one of his letters, had the blasphemous assurance to speak of our Most Holy and Blessed Saviour as "Jesus the Dipper" is not worthy of the notice of any Christian. And again, since the words "heresy" and "heretic" mean "tearing asunder the Church of Christ," and, "one who endeavours thus to tear and rend it." Mr. West and his followers are confessedly and openly heretics. Now what says St. Paul? (Titus 3, 10-11) "A man that is an heretic, after the first and second admonition reject, knowing that he that is such is subverted and sinneth, being condemned of himself." In my humble opinion it is wrong to drag sacred truth through the mire of controversy with men who only want an advertisement for themselves. I need say no more, except to express a hope that these people may some day see the error of their ways; and also that having proved what I wanted, that their underlying principle is that of Lavaliere. I shall not again trouble you on the subject, but will leave it to anyone who choose to "have the last word," no matter how rude and bitter it may be. --Yours faithfully, W.E. FLEMING Kilakeery Rectory, May 30th, 1907. Corragarry in his last letter, after some personal remarks, proceeds to prove that a theologi-cal training is necessary for a Gospel preacher, and that it has the approval of God. May I tell him that none of his proofs have any reference to a theological school or college training whatever as any unprejudiced reader will see by comparing James i 5. "If any man lack wisdom let him ask of God that giveth to all men liberally, and upbraideth not, and it shall be given unto him." Also first epistle of John ii 27. "But the anointing which ye have received of Him abideth in you, and ye need not that any man teach you; but as the same anointing teacheth you of all things and is truth and is no lie, and even as it hath taught you ye shall abide in Him." See John's Gospel vi 45. He calls special attention to the case of Huldah, the prophetess. I think he would have been wiser not to have mentioned this as it gives away his case regarding women preachers. Here we have a poor woman, a keeper of garments, dwelling in the second part of the college ( and we are not told she graduated here) able to tell the mind and will of God to these learned priests and scribes who could not understand the Scriptures. Corragarry wrote on a former occasion that the commission given in Luke xxii 36 was then, and is now the way almost all, if not all, Gospel preachers should go. Yet we find Peter, although an ignorant and unlearned man, the principal speaker on the day of Pentecost. If Corragarry's interpretation of Luke xxii 36 were a true one, Peter would have pulled out a big long purse, and given the beggar something out of it when asked. Acts iii 6. He runs away from this by saying the regular ministry was not then formed. This is more of what he terms "Bluff." Peter and John being two of the eleven faithful who received this commission. If he reads carefully the 22nd chapter of Acts he will there find the education Paul received at the feet of Gamaliel, made him an opponent of Christ's ambassadors. I am not fighting for ignorance as Corragarry would try to make it appear, but for the wisdom of God even the mystery which hath been hid from ages and generations, but now is made manifest to his saints. "To whom God would make known among the Gentiles; which is Christ in you the hope of Glory; Whom we preach, warning every man and teaching every man in all wisdom that we may present every man perfect in Christ Jesus." Colossians i 26 27 28. Corragarry some weeks ago professed to sound the death knell of the instructions of Jesus to his sent ones in Luke x, and also the death knell of the practice of those who today take their example and follow in his steps. His statement of sounding the death knell is evidently an empty boast, for he is just as vigorous in attacking what he himself had professed to slay. In this he manifests the lack of even average discernment. He starts his letter with the assumption that "Ishi" is in fellowship with me. I am not aware who "Ishi" is, and certainly think it is an unmanly thing for either he or Corragarry to write over an assumed name. If any of those in fellowship with me have erred in this respect I witness against them for so doing. Paul withstood Peter in the face when he did wrong, although he was in fellowship with him. Paul also rebuked the Churches in fellowship with him with regard to where they were wrong. Now it would have been very wrong to blame Paul for his fellow worker's error, or the failure on the part of some of the saints in fellowship with him. Yet this is part of Corragarry's line of attack. Perhaps "Ishi" might be kind enough to state if he is in fellowship with me or not. I hope your readers have been able to understand what Corragarry does not seem to have been able to grasp, viz. the difference between compiling a dictionary, writing a history, translating the Scriptures, and interpreting the Scriptures. The first three can be done by anyone who has the mental and intellectual capacity for so doing, but the interpretation of the Scriptures requires revelation from God, which is only given to those who fulfil the conditions to receive such revelation. The scribes of the days of Jesus were in that day what the clergy are today. The Pharisees were pretty much in Corragarry's position, and fought for the clergy, sneering at Jesus and his preachers who had never been to college. Jesus used the Septuagint translation of the Hebrew Scriptures the work of the Scribes, and out of it condemned them, just as I take the New Testament, the translation made by the Scribes of today, and out of it witness against them for their long clothing, large salaries, salutations in the market places, chief seats in the synagogue, uppermost rooms at feasts, being called by men Reverend, Reverend, saying and doing not &c, &c. Corragarry fights for them, but has never once given a Scriptural proof for their position, nor can he show a single preacher like them sent by Jesus, either before or after Pentecost. When Corragarry says that all the leading commentators agree with him in his interpretation of the Scriptures he only illustrates what I have written above, viz. that the Scribes and Pharisees, who belong to the climb-up order, agree in interpreting the Scriptures to suit their covetous hearts; while I use Professor Lindsay's history of the Church in the early centuries to discover how long after the death of the first destitute sent ones of Jesus, the preachers adhered to the instructions of Jesus in Luke x, out of the history he has written, I witness against him and his manner of life. He writes that for the first 200 years after Christ the Luke x instructions were adhered to by the preachers. If a preacher came round to any of the churches planted by the destitute sent ones of Jesus, and wished to preach to the saints he was asked 1st had he sold all, given alms, and gone forth without purse or scrip as Jesus, and those he sent when on earth did. If he hadn't the saints called him a false prophet and would not listen to him. If he asked money for preaching, he was denounced as a false prophet. If he spake the words of Jesus, and had not the ways of Jesus he was called a false prophet. I accept this testimony of a modern scribe and historian Professor Lindsay, professor of Church history in the Presbyterian College, Glasgow, and from his own words I witness against him as a false prophet for rejecting the instructions of Jesus to preachers in Luke x, which he admits were adhered to for over 200 year after Christ. I also reject his commentary upon this given to suit his covetous heart, and the covetous hearts of the modern scribes or clergy for whom Cor. fights the Presbyterian system, which he claims to have been inaugurated about 200 years after Christ prior to Popery was a necessary improvement on the Luke x system of Jesus which he admits, was adhered to for over 200 years after Christ. He is wiser than Corragarry, and does not use the so-called death knell for he knows that the position is untenable. Peter used his purse, scrip and sword during his backslidden condition, but never departed from the Luke x way after his restoration. While I accept Professor Lindsay as an historian I recognize his utter blindness as an interpreter and commentator. Doubtless he and Cor. would agree. His reason given for the wisdom of changing the system of Jesus was that the wise, rich, learned and lofty would not countenance such a system and in order to capture the Roman Emperor Constantine, and the great ones of that day it was necessary to get rid of the Luke x preachers. He relates that when Constantine became a Christian in this revised way one of his first acts was to persecute the Luke x preachers who refused to submit to budding Presbyterianism. I accept Ballinger as a Greek scholar, and dictionary compiler, but reject him as an interpreter. I consult his dictionary for the meaning of words and witness against him for saying right and doing wrong, as Jesus witnessed against the Scribes and Pharisees of his day, Matt xxiii, 1 to 3. Personally it makes no difference whether Mr. West notices me or not, I am not writing for the sake of being noticed by anybody, and certainly not by a man of Mr. West's calibre. When I noticed him first I took him for an honester opponent, but now I notice him so as to expose his inconsistency. 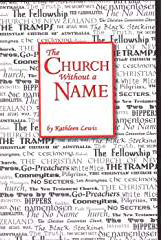 It has all along been argued that he has "renounced all," and that he calls no man by "the blasphemous title of Rev." and yet he has not dared to deny that he holds a snug well-paid situation in which his duties compel him to address men as Rev. When he is driven to the wall he says his opponent is not worthy of notice and so sneaks out of the fight by the back door instead of honourably admitting that he is beaten at his own game. In a former letter he sneered at the 600 sects. Did it not occur to this marvelous reasoner who cannot condescend to notice weaker intellects that Cooneyites above all others are sinners in this respect for they are the latest edition, and now bring the number of sects up to the grand total of 601. If he will hark back to the Reformation he will find there were very few sects but those he is now ridiculing, but men like Mr. West who love their own glorification more than the union of the Church have ever been ready to stir up dissension and disunion. He then talks of the greed of ministers and also sneers at the Sustentation Fund. The latter part of his argument refutes the first and makes his reasoning look silly. When Gladstone's Disestablishment Bill was passed only 36 years ago and the capitalized amount of the Regium Donum, handed over as compensation to the then ministers of the Presbyterian Church, these men instead of pocketing an amount which would have made them rich for life heroically handed it over to the Church they loved, and for the preaching of the Cross in which they gloried, and today ministers are amongst the largest contributors to this fund and are thereby fulfilling the scriptural exhortation that the strong should help the weak, and the action of the commuting ministers proved that they also can rise above all considerations of filthy lucre when the occasion demands it. He also sneers at several other funds the object of which is to succor the widows and orphans, the aged and infirm, the weak and the destitute, objects which any Church should be proud of, and for which there is abundance of scriptural warrant. Such is the pettiness of some of his arguments. Seeing I am not to be noticed again I now say good-bye to this champion of unscriptural hymns, unscriptural zinc churches, and unscriptural women tramp preachers. I see Mr. Cooney in his last letter has taken my advice and let the professors alone, but he is just as silent regarding scripture. Can it be that there is not a verse in the Bible to uphold his new idea about a crisis in the Church. It looks like it. Mr. Cooney hopes, should the occasion arise, his followers will again be willing to have all things in common. Let me tell him in the Cooneyite sect in Ballymena, which numbers slightly over half a dozen, one of the numbers has more money by far than he requires, while another member is considerably in debt. It this Mr. Cooney's idea of having all things in common? When passages of scripture are interpreted in such a way as to contradict each other we who believe in the infallibility of the Bible look for the error in the interpreter. Mr. Cooney's interpretation is contradictory and therefore erroneous. I have already proved that Paul did not live in the Luke 10 way, neither did the Churches of his day live either in the Luke 10 or Acts 2, 44 ways. Yet he tells us times have not changed. In one letter he says Luke 10 is the only way, in another he tells us a crisis has arisen and all that was changed. One time he tells us the times are the same and the conditions should be the same, but in the next all that is changed. "According to the climate," because it suits him. He used to stand upon Matthew 10 and claim apostleship. When that position was rendered untenable he retreated to Luke 10 and now he only claims discipleship. I again ask him can he fulfil the conditions of Luke 10-9. Assuredly not. Cast aside your false pride, cease your slandering, and you may yet claim the office of evangelist or teacher. The office of Apostle was held by those who had seen Jesus Acts 1:22, and the chief work of the apostles was to proclaim the Resurrection. This office is now extinct, and instead has been given as officers of the Church. Elders Acts 14:24 and Deacons Acts 6:1 to 6, also see Timothy and Titus. This is the permanent system given in the New Testament, this is the system I believe in, and this is the system Mr. Cooney wishes us to think he believes in, but he has not yet told us whether his elders and deacons are scripturally ordained, or only appointed by himself. Have they been set apart by prayer and the laying on of hands. I now come to Luke 22-36, and I here say that the commission of Luke 10 not only does not fit Cooneyism, but it has been fulfilled. Luke 10-17 therefore at an end; but the commission of Luke 22:36 has never been rescinded, and can never be really fulfilled till the whole world has heard the Gospel. Here then is the commission that fits all Christians in all climates. At one time the favourite Cooneyite argument was that the apostles were all backsliders as the time the commission of Luke 22:36 was given, but this statement is now watered down to the "backslidden in heart" and he goes on to argue that Jesus commanded them to commit sin, and that they were treated by Him just the same as Judas was, and the command was given to them simply because it was in their heart. Now in all this Mr. Cooney displays great lack of discernment. It was not in their hearts to deny Him for Peter (one of those who carried a sword) would have fought for Him in the Garden John 18-10 and he even followed Jesus into the palace of the High Priest. John 18:15. Judas was treated as the other apostles up to the time Satan entered into him and it was after that--not before--that Jesus told him to do his work quickly--John xiii, 27. The action of Judas was the wickedness of a sinner; the action of Peter was the weakness of a saint. This Mr. Cooney does not seem to realize, hence the error of all his arguments. The next point is that Satan desired to sift Peter. But the words "hath desired to have thee" only proves that Satan "had not" the mastery over Peter at that time for a "desire to have" proves lack of posses-sion. It is not unlikely Satan desires to have Mr. Cooney "that he may sift him," but does that prove he is now "backslidden in heart." This is enough to prove Mr. Cooney is only clutching at straws to save him from drowning, but I will now prove with the words of Jesus that they were not "backslidden in heart," Jesus said "Ye are clean but not all," John 13-10. And it is perfectly plain from the next verse that this did not refer to mere outward cleanliness for we read "He knew who should betray Him, therefore, He said, ye are not all clean. John 13-11." This sweeps away his whole theory. There is nothing like the pure Gospel for refuting the imagination of vain men. This leaves the command in Luke 22:36 in its, up to the present impregnable position. Can Mr. Cooney give one Scriptural proof that it has been annulled. If so let us have it! There was nothing very wonderful in the apostles carrying swords. It was a common custom in those days and when Jesus left them, they were to be scattered in a country infested by robbers and wild beasts. This I have no doubt he knows quite well from studying such authorities as Professor Ramsey, &c, but this information he carefully conceals from his less-educated followers. Nor was it strange that Peter was commanded not to use his sword in the garden. He was then fighting against the purpose of God--John 18:11. Peter was commanded to put the sword into its sheath, but nowhere is a command given to discard the sword entirely. Is it not possible it would be required for self-protection. We know the command re purse and scrip in Matt 10 was only temporary, for Jesus and His apostles had a common purse, and now that the apostles would be separated this common purse was changed to individual purses to suit the needs of each. When Jesus Himself used the contents of the common purse would it be likely He would withhold the same from His apostles afterwards. Until Mr. Cooney can bring forward some proof worthy of consideration, I for one, prefer the command of Jesus to the statement of Cooney. My letter is so long I cannot here give further proofs, but any reader can turn up John 17 chap; also 14 to 16 chapters, and see for himself that the apostles were not backsliders when this command was given, and that Mr. Cooney's theory is the raving of a dreamer with an axe to grind in the shape of building up a sect. When Corragary quotes Moses as an example of the advantage of a theological training, he shows his blindness, for the wisdom and learning of the Egyptians produced Jannes and Jambres, who withstood Moses, and although Moses was mighty in word and deed through what he learned in Egypt it was not until he had turned his back on Egypt, and all he learned of the theology of Egypt and became a poor shepherd in communion and fellowship with God, that he was fitted to be a true pastor of God's sheep. Though mighty in word and deed when leaving Egypt, after being 40 years a shepherd he had become so emptied of his Egyptian theological wisdom and mightiness of word and deed, that when God was sending him to witness to Pharaoh he had to acknowledge to God "I am not eloquent, I am slow of speech"--Exodus 4-10. The mightiness of word learned in Egypt was all gone--unless God gave him utterance he had nothing to say. It was the same in the case of Paul, who, though mighty in word through his training at the feet of the theological, Professor Gamaliel, when preaching at Corinth, was in weakness and fear and much trembling, because he had got to see that ability to speak through theological training was vain, because it only gave him power to speak with the enticing words of man's wisdom and so he thought weak and trembling that God might speak through him in demonstration of the spirit and with power--I Cor 2-3, 4. Corragarry's mention of Solomon's wisdom as a proof of the advantage of a theological training to qualify a man to preach is only further evidence of his blindness. This wisdom came to Solomon by direct revelation from God, and was in no sense due to a theological college training. The wisdom which is mentioned so often by Solomon in Proverbs is that which comes to the heart and mind direct from God to those who seek His face, and walk in the light of His countenance. This wisdom the destitute sent ones of Jesus believe in and seek after. Surely, Cor is hard up for proof that prophets in the Old and New Testament got a college training, when he quotes that Huldah, the prophetess, dwelt in the college in Jerusalem, the marginal reading--II Chron 34,22, is that Huldah dwelt in the school, or 2nd part in Jerusalem. Her husband's grandfather kept the garments and Huldah seems to have had some sort of a right to live in the school. To try and twist this into an inference that Huldah was a sort of female graduate of a theological college is surely worthy of a Pharisee. Corragarry winds up his letter by stating that the wisdom of Solomon, Joseph, Daniel, Job, and that spoken of as wisdom in the Proverbs could be nothing else than earthly wisdom rightly directed. This statement is further evidence that the light that is in Corragarry is darkness. The wisdom of Solomon, Joseph, Daniel, and Job was not earthly, but heavenly-received by revelation from God not through the medium of theological colleges or professors. All Corragarry's earthly wisdom has been used to try to prove that preachers should not live like Jesus and His sent ones. He alluded in one of his letters to Paul when in Corinth despoiling other churches taking wages (Greek supplies) off them that he might not be chargeable to the Corinthian Church. This hire or wages is clearly that of Luke x, 7, and only to be received by the destitute sent ones of Jesus such as Paul as they moved about in the Luke x, Jesus way--clergymen for whom Corragarry contends are fond of quoting "the labourer is worthy of his hire" to prove that they should have a manse, salary, &c. But they take good care not to quote the context which proves that before a man could become one of Christ's labourers, he must be homeless and destitute, and therefore have a claim on the homes and provision of worthy saints who believed in Jesus, and were therefore willing to receive Christ's destitute sent ones. Mr. West came forward posing as a disciple who had "renounced all," but it is now certain that besides his ordinary property he holds a situation with a nice salary attached. The sin of holding this situation consists in part of its duties compelling Mr. West to commit blasphemy. Any ordinary moral living man would be ashamed to hold it a day under such conditions, much less a disciple professing to have "renounced all." He then falsely quotes extracts from the writings of several eminent theologians to prop up his tottering arguments, and he has not the manliness to withdraw or apologize when his shabby tricks are found out. Not content with this he tells a deliberate falsehood so that he may wriggle out of his correspondence without answering an unpleasant question as to his consistency. I refer to his statement that he does not answer anonymous correspondents. Yet, Mr. West, with pharisaical ostentation comes forward on all occasions, and thanks God that he is not as other men are; not even as "Churchman and Corragarry." He pays tithes to the funds, feeds and lodges the tramp preachers, worships in an unscrip-tural zinc church, advocates unscriptural women, tramp preachers, and sings unscriptural man-made hymns, and then claims to be living the "Jesus way" to the letter. I say with all reverence "God be merciful to me a sinner," and save me from such hypocrisy. As for Mr. Cooney he has swallowed his own arguments on all points. He came forward to prove education made a man an opponent of the Jesus way. He was unable to give a single proof. He, himself, is a Greek scholar, studies the learned Biblical scholars and quotes from their writings to prove his arguments. Here we have him in his true colours, Cooney with the two faces. First he turns to us his uneducated face, and when he finds that does not suit he turns the educated face towards us. His next point was that John West was a disciple who had "renounced all." In his early Coone-yite days Mr. West was not content with two farms, but he must also grab at the first nice well-paid situation that came his way. But Mr. Cooney clever juggler of words that he is, in one week so changed the meaning of "renounced all" that a Cooneyite might almost hold a commission in Satan's army and still be a disciple. And so Mr. West is still a disciple without having renounced anything. His definition of disciple is a brilliant literary performance. Says Mr. Cooney, "one proof J. West has given of his discipleship is his willingness to receive sick and destitute people who are in genuine need into his house." I have given instances of many who are doing this on a far larger scale than J. West, yet they are de-nounced by Mr. Cooney and his followers as "Phari-sees," "Hypocrites," etc. Why this different treatment for the same action? Simply because they have not been "dipped" by a self appointed apostle, and therefore are not Cooneyites. Then for a time he stuck tenaciously to Matt 10, as the commission on which his sect was built. This part of the farce" he has now abandoned as it does not suit all climates. By renouncing this he sounds the death knell of Cooneyism, for on this he and all his followers have been building for the past six years. Thus the sect instead of being founded on Matt 10 is founded upon the sand (viz), his own fertile imagination. Next comes his bluffing performance re bicycles, etc. and a more contemptible performance by a Gospel preacher it is hard to imagine. After his repeated talk about "straining at gnats," he admits having done away with his bicycle to square with Matt 10, and in the light of Mr. Cooney's action what are we to think of all the other "tramp preachers" who are whizzing about the country week-day and Sabbath on their bicycles? Are they walking in the way of Him who tramped on foot through Samaria, Judea, Tyre, and Sidon, etc? Are they following in the footsteps of the twelve who in Matt 10, were not to use even a staff? Are they doing as the seventy-two in Luke 10 who went without purse or scrip or even shoes? Assuredly not. They wear shoes, collars, overcoats, etc. and are well supplied with bicycles and pocket money. Let me here say I do not object to the use of any of these. What I do object to is the hypocrisy of those who say they are living according to Matt 10 and Luke 10 and yet use all these. There is some consistency in the men who take their salary but there is no consistency in the others. A plausible story is then built up on Acts iv 34, but when confronted with the fact that not the tramps only, but "all that believed" sold their houses and lands, Mr. Cooney promptly drew in his horns, and instead offered the belated explanation that this was during a "crisis" in the Church, although the previous week he used this selfsame verse to prove that Peter was converted from his backsliding, and at this time carried no purse. There was not a word about a "crisis" then but when he sees its condemnation of the majority of his sect he gives it an entirely different meaning. Imagine J West selling his houses and lands and resigning his situation. Oh no, "selling all" does not suit Cooneyites more than anybody else. But surely if Acts iv 34 can be called a "crisis" so was Matt 10 and Luke 10 for we know that Jesus and His apostles carried a common purse at other times. But one of the most inconsistent of Mr. Cooney's performances is his sticking to a commission which he has admitted does not suit all climates, and which Scripture tells us has been fulfilled, and another substituted, and his rejecting the later commission which does suit all climates and conditions so far as it is applicable to our present day evangelists and elders; which has never been substituted or countermanded; and which in part has never yet been fulfilled, therefore, still in force. The restriction I put on this commission applies with even greater force in Matt 10 and Luke 10. All these commissions were given to apostles whose principal work was to testify to the Resurrection and had seen Jesus personally. John xv 27. It was afterwards when Paul had organised Churches that the elders and deacons were appointed to feed the flock, and so in accordance with Scripture we have our elders or ministers ordained in every Church. Acts xiv 23. Then he goes out of his way to slander a certain city minister. The slander is admitted but he has neither the manliness or Christian spirit to withdraw this falsehood. And this is not an isolated case. He and his followers on all possible occasions go out of their way to slander and ridicule those who have been appointed in accordance with Scripture to the oversight of Christ's flock here on earth. Yet they have the audacity to say they are living the Jesus way. Because Mr. Cooney does not seem to realize this great truth I think he is not doing the good work which his self-sacrifice and zeal aided by the Holy Spirit should perform. I now come to his statements, that "Mary scattered all and became a tramp preacher; that Jesus sold all he had and gave alms; Timothy was an apostle, and that Paul lived in the Luke 10 way." I have already proved that every word of this is false, but his sanctimonious pride will not allow him to admit so much. He also tells us Jesus instituted the sacrament of the Lord's supper with eleven "backsliders in heart," but this is direct antagonism to the Gospel narrative. After such a mass of slander, falsehood, and misleading interpretations, how can any sane man acknowledge Mr. Cooney as a teacher at all, much less a divinely appointed teacher. He displays such an intolerant, bigoted, and unchristian spirit one is almost inclined to doubt his christianity. This spirit of malice which runs through all his letters proves that he is fighting--not for the truth--but for his own intolerant sect, his own bigoted principles, and his own self-glorification. In his letter of March 21, he says "Unconscious babes are in no sense responsible for their acts" until they reach the years of discretion. Will he kindly give proof for such an assumption. If he believes his own statements seeing such babes are fit subjects for Heaven what doth hinder them to be baptized. It has gone out that Cooneyites do not believe in original sin. Perhaps Mr. Cooney will oblige us with an explanation on these points. He is able to travel from Glasgow to Enniskillen for an Easter weekend. That sounds different to Luke 10. If a beggar such as the one who lay at the gate Beautiful had met Mr. Cooney about Glasgow quay, and asked for an alms, he also might have "pulled out his long purse and given the man some-thing." No doubt he will cross to Crocknacrieve again in July. At this rate he would not be long running up the salary of many poor ministers which he so begrudges them. By damning those they have no mind to." It should now occur to Mr. Cooney to tell us what are the principles of Cooneyism; upon what it is founded; or is there such a thing just now; for all that he once built upon he has now discarded. I have no doubt intelligent readers of the Fermanagh Times are edified at the spectacle of Mr. Cooney floundering helplessly in the quagmire of Cooneyism. I have no doubt the eyes of many have been opened by this correspondence for a good many of the false feathers have been plucked from of Cooneyism. In the past when the "crisis" did arise Presbyterians gave not only their houses and lands, but also their life, for the cause of Christ and His Church, as is well known to any reader of Scottish or Irish history. In that respect they tower leagues above Cooneyites. --Faithfully yours, CORRAGARRY. 9th June, 1907. E. Cooney likes to know those who are in fellowship with him. Ishi is in fellowship with those who love the Lord Jesus in sincerity, and in truth whether they worship under a slated, thatched, or zinc roof, or no roof at all on the mountainside, or the sea shore with a fishing-boat for pulpits, with many or few gathered together in His name "For there am I in the midst of them"--St Matt 18-30. That magnificent song of praise, St. Luke 1-45, 46--"My soul doth magnify the Lord, and my spirit doth rejoice in God my Savior" seems very suitable just now, and part of the next verse gives the name of the sweet songstress after the baptism of the Holy Spirit. "From henceforth all generations shall call me blessed." Gather them in from highways, &c; there is great need to pray for more labourers, in this corner of His vineyard that songs of praise may be heard from every home, and every heart to remember our Divine Lord's command, "A new commandment I give unto you that ye love one another as I have loved you"--St John 13:34. Since writing last week I have found out that one of the marginal readings of II Chron. 34 and 22 is the correct one that Huldah dwelt in the second part of Jerusalem, not in the college or with the scribes, but in the second part, probably the poorer quarter. This is not the only case where the alternative or marginal reading is the correct one. So Corragarry discovered a mare's nest, when he discovered what he thought implied that Huldah was a sort of female cleric. While Cor professes to believe that women should not go forth and preach he defends the Presbyterian branch of the clerical system which sends out women to preach to different parts of the world. Some time since I spoke to a woman who was being trained in the R T L Glasgow, to be a preacher for the Presbyterian Sect to which Cor belongs, this is a further proof of Cor's insincerity. I notice he is not so hearty in ringing what he called the death knell, Luke xxii, 31 to 38. His last efforts to defend a preacher who provides himself with a purse, wallet of bread, and sword when going forth to preach, are certainly worthy of one who seems to prove the New Testament by the clerical way instead of the clerical way by the N T. First he tries to make out that a man who is backslidden in heart is not the same as a backslider; when a disciple has backslidden in heart he is a backslider in the eyes of Christ. So that Luke 22 and 36 was spoke to those who were backsliders in the eyes of their Lord. Corragarry is so hard pressed that he even goes so far as to say that the Apostles were not even backslidden in heart at this time. To prove that this is a wrong conclusion, let us refer to Matt 26 and 31, where Jesus says--" All ye shall be offended because of me this night for it is written I will smite the shepherd and the sheep of the flock shall be scattered abroad." this statement was made regarding them after the incident recorded in John 13 to which Cor alludes. Jesus said before the supper, after washing their feet, and although Peter denied it on his part Jesus showed him he did not know the backslidden condition he was in. If they were clean in heart before the supper, Jesus who discerned their hearts after the supper told them they were defiled even though they were not aware of it. It was as he discerned that they were in this condition, and in this connection that Jesus asked the had they lacked anything when they went forth trusting him without purse or scrip. Now that he saw they distrusted him there was nothing for it, but to have recourse like other men to the fleshy way, purse, scrip, sword. Compare Matt xxvi, 31 to 36 with Luke xxii, 31 to 38. I went fully into this in a recent letter. In Numbers xxii, 12--God told Balaam not to go to Balak yet when he saw that the covetous heart of Balaam desired the reward of Balak, God told him to go (verse 20); verse 22 says--And God's anger was kindled because he went. The sin was in Balaam's heart God brought it out in action, so that Balaam and others might see his sinful condition." So in the case of the backslidden disciples of Jesus. Jesus told them to do what their backslidden hearts desired to do--take a purse, scrip, sword, and so gave them an opportunity of discovering their true condition and repenting of it. As in the case of Balaam Jesus rebuked Peter for the sinful desire to take a sword when it was ripened, and brought forth in sinful action unlike Balaam. Peter repented and never afterwards backslid so as to have provision for sustenance that would make him unlike the ravens, or for raiment unlike the lilies. Never again did he, or any of the Apostles take a sword to protect themselves even from murderers much less from robbers. Corragarry's last line of defence is surely that of a Pharisee driven to desperate straits. He suggests that all the Apostles had swords to protect themselves from robbers from Luke 22 on. We are told that Paul was amongst robbers and different times in peril, never do we have the remotest hint of his using a sword; quite the contrary he bore patiently the attacks of his enemies, and although he accepted the protection of the Roman government, when it was given he never disobeyed the command of his master, "whosoever shalt smite thee on thy right cheek turn to him the other also." With regard to the Apostles protecting themselves from robbers the truth is they were never worth robbing. No manse, no salary, no property, giving away as fast as they got. Of course, the chief Priests and Scribes of that day would be worth robbing for they had the manse and stipend, and would need the sword to protect them. Corragarry objected to my mention of the clergyman in Belfast, who, I heard on good authority had ,18 per week, all told salary according to list argumentation, &c. He ought to have thought that a large camel to swallow when he could not take the truth I gave him, because he thought I had property in the shape of a bicycle. What will he think of this camel? The Presbyterian clergyman of Govan Parish Church has ,30 per week, whilst some of his congregation can hardly live. Truly, the words of Jesus spoken to the Pharisee of his day are just as true today. "Ye blind guides which strain out the gnat or midge, and swallow the camel" Corragarry declares that he has proved that Paul did not live in the Luke X way, this proof must exist in the realm of his imagination for we read in Acts xvi that Paul went to Philippi, preached at the riverside, Lydia's heart got opened, she got baptized and seemed to know that Paul was living in the Luke x way for she used the Luke x words "If ye have judged me to be faithful to the Lord come into my house and abide." In Acts xvii 6 and 7 we read that Paul and Silas who were said to be turning the world upside down, were received by Jason in the Luke x way, this led to Paul being called a "spermologo" (Greek for moocher) in verse 18. In I Cor iv 11 Paul writes that he and his fellow preachers were hungry, thirsty, half-clad, buffeted, and had no certain dwelling place, and had to labour working with their hands, because there was no one to minister to them worthily as Lydia did at Philippi. When Paul writes to Timothy, I Tim v and 18 as to how Apostolic Elders who laboured in the Word and doctrine were to live he quotes from Luke X and 7 "The labourer is worthy of his hire or reward," not the clergyman is worthy of his manse, stipend, etc. The labourer is told Luke x 1 to 4 the conditions to be fulfilled before he can become a labourer, and have a right to shelter in other people's homes, and a share of worthy saints food as he moves about preaching in the Jesus way not above, but as his master. The conditions for becoming a Presbyterian clergyman are vastly different. No, Corragarry, I have no axe to grind as you assert. If I had I would have remained on at commerce, and sought to mount up, as you are making to mount up, or else become a clergyman and mounted up in that way. Another of Cor's statements which shows his blindness is that the office of Apostle is extinct. If he said that those willing for the destitution and travail connected with the office of Apostle were almost extinct he would be nearer the mark. The disinclination of modern preachers to walk in the footsteps of the New Testament Apostles, and fulfil the Luke x conditions had led to varied classes of substitutes in the clerical form, but `tis the case of the wish being father to the thought when Corragarry and the clergy say there are to be no apostles for it would not suit any branch of the clergy today to live as the Apostles did. In Ephesians 4 and 11, Paul tells us that when Jesus ascended he proceeded to give the gifts that were necessary for the perfecting of the saints and the work of the ministry, etc; these gifts Paul gave are Apostles, prophets, evangelists, pastors, teachers. How dare Cor say that one of these gifts is extinct, he cannot give a single verse of Scripture to prove it, and his assertion that the Apostle must be one who has seen the Lord in his resurrection body is false, for Timothy is called an Apostle, I Thess 2 and 6, and he never saw Jesus in his resurrection body as his spiritual father Paul did, yet both are called Apostles in this verse. "Tis a matter of history that Apostles went about in the Luke x way planting churches and doing apostolic work for between two and three hundred years after Christ, and it was not till men like Corragarry exercised sufficient influence to cause their expulsion that they were discountenanced. Presbyterian Historian Lindsay tells us that the Presbyterian ministry dates from their expulsion from the so-called church, so it is not surprising that the ancestors of those who discounted these Apostles of the early centuries, because of their Luke x manner of living discountenance and oppose us as we walk in the Jesus way of preachers. The whole burden of Corragarry's correspondence is to prove that it is not necessary for preachers to follow Jesus today as they did in His day, and for about 260 years after. He has accepted the Presbyterian substitute for the Jesus way for preachers, and so contends for it. He was sprinkled as a baby by a Presbyterian clergyman and from that date to this he has been subject to Presbyterian traditions. `Tis very seldom that such as he gets delivered from their vain manner of life received by tradition from their fathers:--I Peter x, 13. Since this correspondence is being closed by our Editor, I say in conclusion, I am glad to have had the opportunity of reaching with my pen some to whom I never might have had the privilege of putting the truth, that at the day of judgment all who have not taken sides with Peter, John, Paul and Timothy, and all the hungry half-clad, strangers, sick and in-prison preachers from that day to this will find themselves amongst the goats on the left hand side, and hear the awful words from Jesus "Depart ye cursed into everlasting fire, &c, for by refusing fellowship with my hungry, thirsty, half-clad stranger brethren, the Luke x preachers" are refused fellow-ship with Me. Matt xxv 41 to 46 Corragarry will believe in the Luke x way then when. He who initiated it will be the judge. Hoping that he and many of your readers may be converted to believe in Jesus and his Luke x destitute sent ones before them. As this controversy is almost at an end, and as I took a part from the beginning I wish to clear up a few points which were grossly misrepresented by both Churchman and Corragarry, I full realized from the first how unfair it was for any person to write under a nom-de-plume, and when thus masked to make personal attacks upon the other side, both correspondents adopted those tactics which were unfair, unchristian, and unworthy of such a controversy. Consequently, I ignored their questions, except to flatly deny personal attacks. I knew "Churchman" was a clergyman, and his dry traditional and unscriptural letters were all but unreadable, however, one could see that he was tenacious in his purpose of deliberately misquoting me. In one of my letters I quoted 4 well known writers who were honest enough to admit that Infant Baptism was an innovation long after the days of Jesus, and was neither taught by Him or practiced by his Apostles. I distinctly pointed out that I had nothing to do with what these same writers themselves taught or practices, nor does it make any difference, because we deny the right of Pope, Bishop, or Presbyter, to tamper with the word of God. We know that Jesus Christ is the same yesterday today and forever.--Heb. 13, 8. Mr. Hueston or Corragarry (as he prefers to be called) pushed into this correspondence as a fault-finder, his object seemed to be misrepresentation and mud throwing, because in most of his letters has he said anything to enlighten any person as to his ideas of following Jesus, but persisted in making unfounded statements about my inconsistency, which I have clearly refuted. 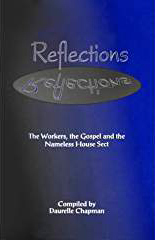 I distinctly stated I called no man rev, that we did not worship in churches other than the house of saints, and that I did not claim to be a servant or sent one (if I did I would sell all and become as poor as my master), but I only claim to be a disciple same as those in the New Testament who made Jesus Lord of their all, and held their worldly goods as His stewards, and opened their homes to His homeless ministry. Yet Mr. Hueston repeats these charges week after week. I repeat such unprincipled tactics do not do credit to this unscrupulous defender of clericalism, and are unworthy of this controversy. The question I asked Mr. Ward, at Ballycassidy, at the beginning, still remains unanswered, i e. Is it believers baptism or Infant Baptism that is taught in the Scriptures? Clerics dare not answer for a good reason. Those who have got their eyes opened to the truth as it is in Jesus, and have taken their stand outside the great Babylon of Clericalism and Sects have sought to show that there are now and always have been two Gospels preached by two different kinds of preachers; the one sent by the God of Heaven and the other by the god of this world. 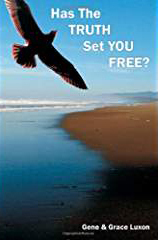 How are we to know the difference and how are we to beware of false prophets and evil workers? What, saith the Scriptures? A preacher sent by the God of Heaven has no reputation--Phil 2, 6, 7, Luke 6, 22, is a gazing stock in the world, and looked upon as a fool and a bad man like his master--I Cor 4, 13; John 8, 30, RV. He has no earthly provision made for him, either by salary or any other way--Matt 10, 9; Mark 6, 8. He is reviled, persecuted, and all manner of evil said against him falsely--Matt v, 11, 12. His name is cast out as evil for the son of man's sake, all true prophets are treated this way--Luke vi, 22, 23. The marks of a true preacher are found in II Cor vi, 4, 10. They have the seal of God upon their ministry in getting man saved and delivered from sin--Jesus had all these marks in His life, and was persecuted by the religious people and clergy of his time. His humility was such a contrast to their pride and wordiness. (Reader do you know any preachers who have most of the above marks in their lives, and who are hated and reviled by the clergy and religious people of today)? The preacher sent by the god of this world talks about the sufferings of Christ and his Apostles, but do not believe in experiencing them. They preach another Jesus 2 Cor xi 4. They seek the patronage of the rich rather than the poor. They have everything provided for them, such as salaries, manses, sustentation and superannuation funds, so that they are independent of God and man, and need not to pray for daily bread. They seek place and power among men live by their reputation and rise socially in the world, and perhaps fall into the arms of an heiress. When they see a worldly advantage or a chance of a better paid job they pretend to have heard a call from the Most High, and unblushingly go through the farce of expressing regrets at having got a "call" to another part of the vineyard. They seek the greetings in the market places, and love to be called Rabbi or Rev Matt xxiii 7. They are blind leaders of the blind Matt xxiii 16. They are referred to in Matt vii 22. Most of them deny the fundamental and all important truth that a man must be born again John iii 3 and substitute, therefor, the absurd and unscrip-tural theory of baptismal regeneration. They break every command of our Lord that does not suit their selfishness and pride, and ask the blessing of God when so doing. They are all above the pattern seen in Jesus. In conclusion, I am glad to be identified with men like Wm. Irvine, Edward Cooney, Tom Betty, George Walker, and others from my native county, who have not counted their lives dear unto them, and have sacrifices good situations, that they might go forth in accordance with the plan laid down and lived out by Jesus and his Apostles, and be able to declare the whole counsel of God to their fellow man, looking unto Him to supply their every need without reserve fund, salary or collection, bazaar or lottery. The seal of their Apostleship can be seen on every hand, notwithstanding the hatred and persecution that has been meted out to them--not by the open sinner, but by the clergy and religious professors of the land. In conclusion sir, I beg to thank you for permitting this controversy which I am glad to show has been the means of opening the eyes of many to the truth, and I must thank those, who although not with us outwardly, have encouraged us by their many expressions of approval. Let me say that a convention of the servants who have the testimony of Jesus will be held at Crocknacrieve during the month of July. Everybody is welcome to come and hear for them-selves, at any time during the month. --Yours obedient servant, JOHN WEST. I did not receive my copy of Fermanagh Times early enough to reply to "One of the Sect" last week. I fear he deserves the rod spoken of by Solo-mon. Certainly, I did not think any Cooneyite would be so silly as to try to twist the reference to Huldah into a precedent for women tramp-preachers. I would like to know when she went on tramp? She lived in the college and may have been a teacher there, but a tramp-preacher--never. I have given him Scriptural proof he cannot refute. If he can give me any proof either that a theological education makes a man an opponent of Jesus, or that women tramp-preachers are Scriptural, let him give it; if not, I cannot waste space by noticing him further. He and Ishi have made themselves so small trying to prop up unscriptural principles it is very unkind of the leader of the sect to snub them so effectively and barefacedly and refer to them as "cowardly." Then, Mr. Cooney very unmannerly pushes himself into the controversy on this point between my friend and me; therefore, I reply directly to the apostle, and, through the apostle, indirectly to the disciple. Mr. Cooney's reasoning is false, for he reasons on the false assumption that learning makes a man eloquent. Who said so? I did not. Luke Moses, our theological professors, though mighty in word and deed, are seldom eloquent; like Paul, their letters are weighty and powerful, though their speech is often the reverse of eloquent. Then he adopts the tactics of satan in quoting the part of a verse that suits him, and suppressing the other part which gives the true meaning of the passage. He quotes Exodus iv, 10--" I am not eloquent, I am slow of speech"--to prove that Moses was emptied of his Egyptian wisdom, but he suppresses the other half. "I am not eloquent neither heretofore, no since Thou has spoken." The words "neither heretofore nor since Thou has spoken" clearly shows there was no change in his power of utterance, and after he was called to this work he learned wisdom from a learned priest, and acted upon his counsel Exodus 18 24. His suppression of half the truth has only brought out my point more clearly. His argument as to Solomon is rather ingen-uous, but there is nothing in it at bottom. Solomon asked for and was granted an understanding heart I Kings 3 9. He was granted riches and honour at the same time, but does he argue that all there did not come through the natural medium. The appearing of God to Solomon is figurative language. "Solomon awoke and behold it was a dream." Does Mr. Cooney infer that all the wisdom, riches, and honour promised was conveyed there and then to Solomon? The inference is absurd. We find Solomon also said "I am but a little child; I know not how to go out and come in" I Kings 3 15. Now at this time he was a married man, therefore, a literal interpretation is out of the question, and proves the language is figurative. Now as God gave to Solomon so he gives to theological professors an understanding heart else they would not become professors, and we had Solomon afterwards acting the part of professor for "All the earth sought to Solomon, to hear his wisdom, which God has put in his heart." I Kings 10 24. Joseph also took upon himself the duties of professor for "he taught the senators wisdom." Psalm 105 22. Again Solomon tells us how to will acquire wisdom. "A wise man will hear and increase learning." Proverbs 1 5. Give instruction to a wise man and he will become yet wiser; teach a just man and he will increase in learning. Prov 9 9. It is useless to argue the point further. Here are our instructions and it is for us to act upon them. The walls of a college do not of themselves change the character of wisdom. A college is nothing more than a house where a number of persons are taught wisdom in the higher branches; and professors are but teachers of the higher order. The mind is a garden the Lord has given us to cultivate, and it is for us to seek the highest and holiest wisdom and plant and nourish it there. Now when I have proved that learning, instruction, and wisdom in a man whose actions are guided and directed by God is helpful and scriptural, I have done all that is necessary. I do not require to prove that all those mentioned went to college. The Bible is not given us for proving such trivial things as proving whether a man went to school or college. We have no record that Jesus or John the Baptist went to school, but what Cooneyite would use that silence of scripture as an argument that he should keep his child in ignorance by not sending him to school? His arguments as to a special revelation do not apply to any but Solomon, therefore he passes over them as quickly as possible, but he says the wisdom mentioned is not earthly, but heavenly. Falsehood again. Moses was learned in all the wisdom of the Egyptians Acts 7. 22. Do I understand Mr. Cooney to say the wisdom of the Egyptians was heavenly wisdom? Daniel was skilful in all wisdom, and cunning in knowledge, and understanding, science, etc. Dan 1-4. Also, "He was ten times better than all the magicians and astrologers in Nebuchadnezzar's realm. Dan 1-20. Does he argue that this is not earthly wisdom? Solomon asked for wisdom to rule the people, 1st Kings 3 9. Does this not relate to earthly wisdom? The same applies to Joseph and Job. By nothing but downright deliberate falsehood can any of these passages be twisted to mean anything but earthly wisdom received and made use of by Godly men. There is not a particle of proof that Jannes and Jambres received a theological education. It is far more probable that like Mr. Cooney they were educated in a worldly intermediate school, and after a few dosed of Greek thought themselves wiser than their better educated but meeker fellow-man. Thus history repeats itself. I should thank him for bringing this example forward. It is another case of wisdom rightly and wrongly used. Moses used this wisdom for God's glory, the others used it for Pharaoh's glory. There is another instance of God giving earthly wisdom to bring about his own purpose--Exodus 35, 30 to 35. If God put it into the heart of Bezaleel to teach others to help in the building of an earthly temple; how much more will he not put into the hearts of man to teach others the immensely superior work of building heavenly temples. He says I must be hard up for proof when I mentioned Huldah. But what of himself, I gate the Scripture and still rely upon it as my proof. But he rejects the Scripture and instead substitutes the marginal reading. This margin-al reading is not sacred text, but the scribes, interpretation of the text Mr. Cooney has told us again and again he does not accept the interpretation of the Scripture by a scribe, but by quoting as proof this marginal reading and accepting the scribes interpretation instead of Scripture itself, he makes a liar of himself. Remember all liars shall have their part in the lake which burneth with fire and brimstone--Rev 21, 8. When Cooneyites speak of theological wisdom they falsely assume that this is the wisdom possessed by such as Jannes and Jambres. I challenge any Cooneyite to give a single proof that they are one and the same wisdom. Here is Mr. Cooney's chance. They also falsely assume that all ministers and theological professors are unconverted hypocrites who know not Jesus nor teach his doctrines. This also is an imagination of their own evil hearts, for Christ and Him crucified is preached and taught zealously. His letter of June 6th, re Professor Ramsey, is unreal, misleading and false. Unreal, because he consults him for information; misleading, because he now accepts only what will suit himself; and false, because he now says he accepts him as a historian, but formerly argues he only used such as a scribe. Will he accept Professor Ramsey as an historian on the mode and subjects of baptism? By digging into the dead language and studying Ballinger, Rotheram, Young and Ramsey, Mr. Cooney is performing the same functions as a theological student. The only difference is one studies outside and the other inside the walls of a college with their attendant changes. It matters not what Mr. Cooney says Professor Ramsey teaches. When he takes the Bible and reads into it such falsehoods as that "Jesus sold his tools and gave alms;" "Mary gave alms and became a tramp preacher;" "Paul lived in the Luke 10 way" "and Timothy was an Apostle," he could make Prof Ramsey say anything as John West did in a similar case. We cannot believe a liar even when he speaks the truth, and I have not the Professor at hand to consult. Instead of being traditionally blind I think I deserve a little credit for my power of prophecy. Two weeks ago I said "There always is something wrong with Scripture when it does not suit Cooneyites, and prophesied he would soon be changing the passage where the Christian preacher says he took wages--II Cor 11,8. This has now taken place." His talk about my name is all bluff. He knows my name perfectly well. When I did write to him privately some time ago, above my full name and address he evaded the issue in the same way, and when pushed to answer the questions dropped the correspondence. This is the real Cooney. 1. Give Scriptural proof that a theological education hindered Paul in his work. 2. Give Scriptural proof for women tramp--preachers. 3. 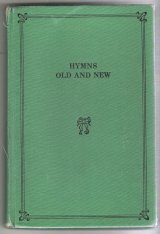 Give Scriptural proof for go-preachers hymns. 4. Give Scriptural proof for zinc churches. If he does not give a straight answer to these I shall conclude he is unable to do so. This controversy is now closed. Acknowledgment: Much recognition goes to Thelma Fortt, a B.C. Canadian lady, who painstakingly transcribed (gratis) all the above series of newspaper accounts from copies from the British Newspaper Library which were extremely hard to read. It was necessary for her to use a magnifying glass much of the time. Thanks to Thelma, these articles may now be read these documents without eye strain. Your efforts are greatly appreciated, Thelma.